These days, Malaysians are all starting to go for yoga classes. I mean, why not? It’s relaxing, you get some peace of mind, get more flexible, and at the same time, you’re getting fit. BKS Iyengar Yogashala is inspired by BKS Iyengar who is one of the most notable living yoga masters in the world. This school practices the Iyengar method and taught by experienced Yoga teachers who conveying the excellence of the Iyengar practices together with its props. Operating under the FIRST Premium Hot Yoga Studio in Malaysia, LavaBody uses specialised heating panels to produce and create a highly anti-oxidised studio environment. Also called the “Hot Lava Cave”, this studio is enhanced with pure volcanic lava rocks that adds to their natural anti-oxidant environment. The studio also focuses on Total Positive Transformation when it comes to the personal development and team building, using goal-oriented programs that utilises signature hot yoga routines to facilitate and deliver an excellent experience. SimplyLife Yoga is all about having a modest and happy life with a team who believes that yoga can help you achieve this. Owners Ken and Hui Zhi hopes to pass on to you the different techniques of yoga and with that, aid you in your search for your inner self. The studio is also located at the rooftop of a building and prides itself in its calm and serene surroundings where your classes can be indoors or outdoors. This studio was created for you to have a space where you can escape from city life, chill-out with friends, and get away from work, home and elsewhere. Space Life Studio aims to give their customers a peaceful place with a myriad of yoga therapies to treat your body and mind. Looking to learn yoga at your own pace? Fret not, for Mysore Room is where you can do this! Its teachers are dedicated to work with you one-on one in an open class. This studio practices Ashtanga Yoga; the yoga of 8 limbs and one of the few existing yoga traditions still kept alive by a strict lineage of teachings passed down through history. Authorised by Sri K Pattabhi Jois Ashtanga Yoga Institute (KPJAYI), this studio is led by its teachers, Yan Ong and Manuel Ferreira. Address: Lorong Binjai, Kuala Lumpur, 50450 Kuala Lumpur, Wilayah Persekutuan Kuala Lumpur, Malaysia. ‘Prana’ is the ‘life force of creation’ and “Practice Makes Progress” is Prana Yoga’s mantra, aiming to ensure that yoga is nor about contorting or pushing one’s self into an uncomfortable posture they aren’t ready for. They also aim to cultivate awareness of the body, breath, prana and mind in order for unity to move towards a good feeling, a better version, and happier and healthier life for their customers, whether inside or outside the studio. This studio has only a goal in mind; to help you find a mindful union and discover your inner self when performing yoga. Its founders have a belief that everyone can fine inner peace and happiness through yoga whilst also reaping the benefits for the body. Whatever the age or fitness level, this studio provides diverse yoga techniques and classes taught by expert local and international teachers, welcoming you to come as you are and to free your mind in its white space and green surrounding. If you want to head towards healthy living, this is the studio you should head to. Apart from yoga, YOTIW also offers other classes such as Pilates, Zumba, Box Fit and many more. This studio aims for you to feel like you’re a part of a community where you can make new friends, reduce stress, challenge your body, and of course, commit to better healthy living. Address: Hippie Hub, G16 Block 3, Level G, Perdana Emerald Condominium, Lot 6, Jalan PJU 8/3, Damansara Perdana. Founded by Josephine Chan, this studio has a profound interest in health and well-being, combining new and traditional knowledge in order to create a practice of their own personal style. The studio also highly encourages everyone to try yoga, no matter their age, size, or background. 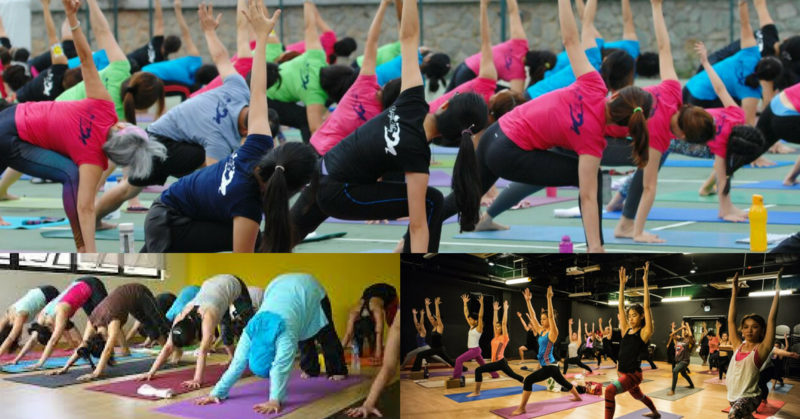 Operations for MYoga started in 2006, situating itself in Sri Hartamas and aims to be a friendly and inclusive club where one can learn yoga without feeling intimidated, self-conscious or inferior. Their classes are carried out by an amazing team of yoga instructors, fully accredited by the Yoga Alliance. So, if you’re seeking a warm and comfortable environment to start your yoga journey, start here! Feeling calm already? Which yoga studio would you go to?